Item # 312520 Stash Points: 3,500 (?) This is the number of points you get in The Zumiez Stash for purchasing this item. Stash points are redeemable for exclusive rewards only available to Zumiez Stash members. To redeem your points check out the rewards catalog on thestash.zumiez.com. Get yourself setup with the Bones STF Terror Nacht V5 52mm 103a Skateboard Wheels and feel the difference while shredding the streets! 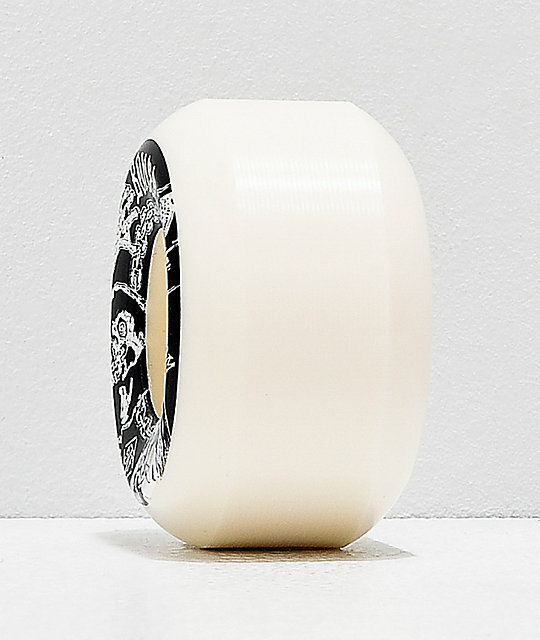 Bones' had given this set of wheels their signature Street Tech Formula, a specialized composition that although is geared towards street skating, delivers an all-around performance for all-terrain versatility. 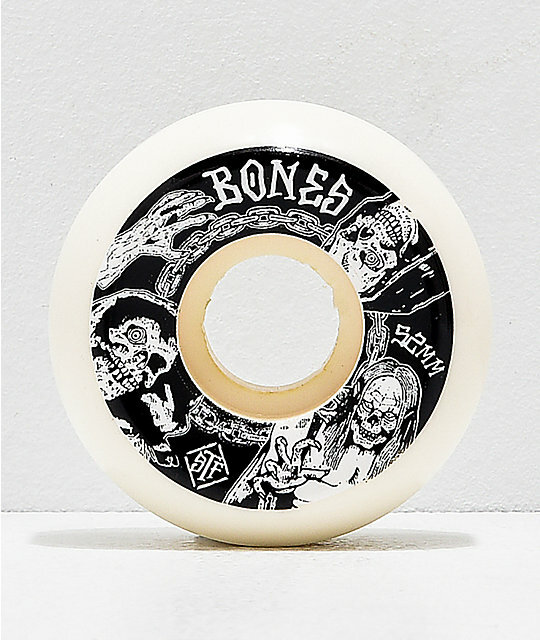 STF Terror Nacht V5 53mm 103a Skateboard Wheels by Bones. Custom skeleton and ghoul graphics on each by artist Funeral French. 53mm sizing and 103a durometer. Bone's signature Street Tech Formula. Premium urethane construction with Bones' V5 shape.